Deplorables or defenders: Who makes up the Australian far-right? Leading figures of global far-right movements are coming to Australia, but who is waiting to welcome them and attend their lectures? Two popular figures of US and UK far-right movements, Proud Boys founder Gavin McInnes and English Defence League (EDL) founder Tommy Robinson, are coming to Australia. The announcement of their The Deplorables tour (now delayed until February 2019) sparked calls for the pair to be denied entry to Australia, particularly in the case of Gavin McInnes, who founded the Proud Boys group*, which has been categorised as an extremist group by the FBI. Academics approached by SBS Italian say that at a global level, far-right organisations such as these operate in a fluid environment. They mostly communicate online and compete with each other to attract members and become leading voices in the space. So, how do these groups from the US and UK connect to Australian organisations, and where will they find a sympathetic ear when they arrive? Gavin McInnes, center, founder of the far-right group Proud Boys, is surrounded by supporters after speaking at a rally in Berkeley, Calif.
"The Australian far-right draws inspiration from overseas groups in the US and UK trying to form local chapters,” says Dr Joshua Roose, director of the Institute for Religion, Politics and Society at Australian Catholic University. “However, other groups formed organically in Australia. And they mostly formed in past three years." Roose details a range of Australian far-right and nationalist groups, noting that there is certainly cross-over of interest with Robinson and McInnes’ ideologies. But, he says that the growth of membership in these groups appears to be impeded by their tendency to compete with one another. "Australian groups are the likes of The United Patriot Front, Reclaim Australia, Soldiers of Odin, The True Blue Crew, and Antipodean Resistance, and we can also include groups such as Stop The Mosques," says Roose. Griffith University academics described a shift of Australian right-wing extremism in a 2016 paper, Right-wing extremism in Australia: the rise of the new radical right. Right-wing extremists in Australia make up a broad, non-homogenous movement, the paper says, composed of “several very different groups positioned on an ideological spectrum of extremism from conservative anti-immigration, anti-Islam groups to far-right neo-Nazi, anti-Semitic, generally racist, white supremacy groups”. The Australian far-right has changed greatly over two decades, says Senior Lecturer at Deakin University Matteo Vergani, having taken on a distinct opposition to Islam as a religion. "It was born as a fringe political movement of white nationalists, and it entered mainstream politics utilizing fear of Islam and immigration to create common ground with right wing and center-right parties," Vergani says. "This phenomenon has been witnessed in Europe and the US, where far-right groups are increasingly represented in parliaments." According to Roose, Australia’s most prominent and outspoken group of this kind is the United Patriots Front, with a strong online presence and visible leader, Blair Cottrell. "It vaguely alludes to racist national-socialists organisation without saying it openly," he says. Roose says that these groups tend to operate in the shadows, and never explicitly describe themselves as racist, though an analysis of their activities and ideology would suggest that they are. Precise numbers relating to membership, influence or activity are hard to come by, as the groups are difficult to penetrate, and do not share such information publicly, says Roose. What’s more, many social followers hail from all over the world, even for a group based in Australia. "You can visualise these groups as concentric circles, with the leadership at the absolute centre", he says. "I went to rallies and protests promoted by these groups and all they can muster is a couple of dozen people to show up." Roose estimates that the number of consistently active individuals in these groups in Australia would be in the hundreds. Far-right groups attempt to capitalise on alienation and anger felt in sections of the community that have lost a sense of hope and belonging, Roose says, which has also seen the rise of Men’s rights groups. "[They are] primarily men expelled by the economy, men with no longer full-time work that think that Australia has changed beyond recognition and that they have no longer place in their country." Yet, as Australia missed the worst impacts of the global financial crisis the development of such groups is somewhat lower than in other nations. "Australia is a bit insulated from what is happening overseas, where a lot of support for the far-right is tied to economy and the inability to get a job", he said. Protesters assemble for a group photograph following a Reclaim Australia rally in Sydney on Sunday, Jan. 29, 2017. In the US, the University of Maryland's Global Terrorism Database says that right-wing extremists are responsible for 56 per cent of recent terrorist attacks. The British Home Office recent data show that whites constitute the largest proportion of arrested terrorism suspects, although Dr Roose explains that the data only consider British citizens. And, while the activity of far-right groups in Australia is less than seen abroad, we are not immune to these risks, as evidenced by the case of Phillip Galea in 2016. In August of 2016, the Melbourne-based Galea was charged with several terrorist offences. He was alleged to have had conducted "surveillance" of "left-wing premises" and planned to carry out bombings with explosive ingredients found at his home. According to media reports at the time, he had strong links with Australian groups, in particular The True Blue Crew. *It should be noted that Gavin McInnes announced last week that he intends to publicly disassociate himself from Proud Boys, a group he founded, and he remains a leading figure in the global far-right space. 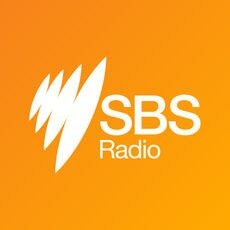 For other news and stories from SBS Italian visit our Homepage or follow us on Facebook, Twitter and Instagram. 'The Bolsonaro effect': Brazil has a new far-right president, what next? A group of far-right activists and Sonia Kruger supporters have rallied in Melbourne to denounce the TV host's racial vilification complaint. Multiculturalism conference aims for social cohesion amid far-right rise.